Jaded Blossom: King of the BBQ! Happy Monday!! 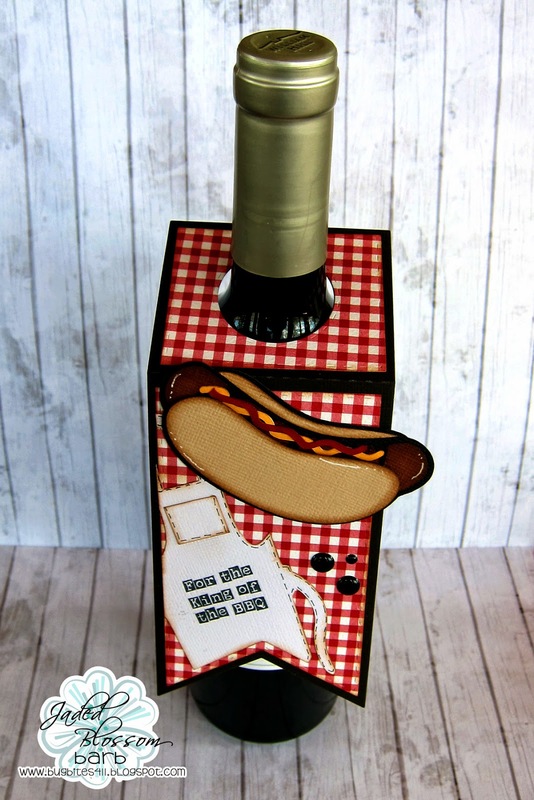 It's Barb from BugBites and I have a fun summer project today using this months featured stamp set, King of the BBQ. There are many BBQ's in the future for all for this summer. A great bottle of wine or 6 pack of beer is a perfect gift for the hosting grill master. 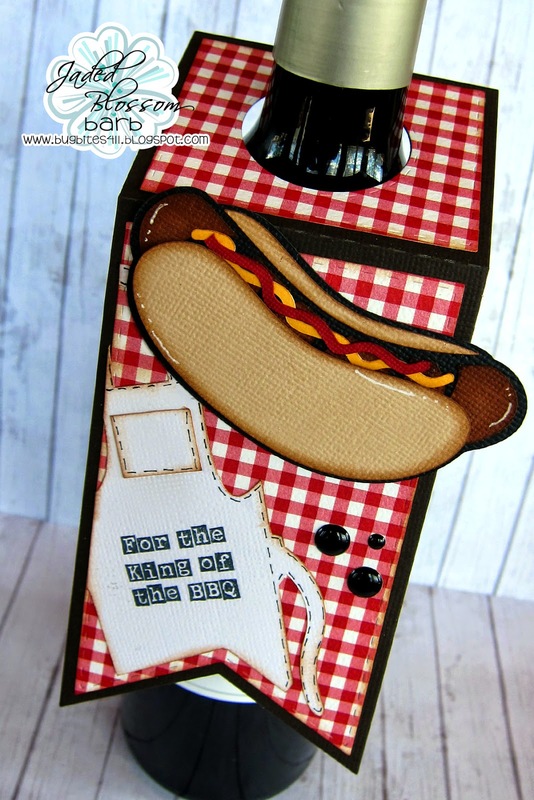 I added a BBQ themed tag to my host gift using the JB Wine Tag die. I went back to my cricut cartridges to find the hot dog and Apron. The cuts can be found Block Party Cricut Cartridge. The sentiment of course is from the King of the BBQ stamp set. Super COOL and Totally fun!!! Love this! Makes for a fun idea to bring along to a BBQ!